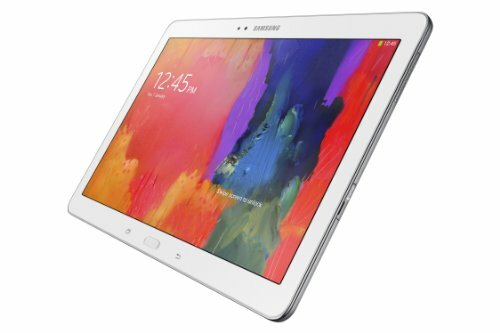 Samsung Galaxy Tab Pro 10.1 is a high-end Android tablet launched in January 2014, coming with an enormous 10.1" multi touch screen, a high speed Octa-Core processing unit (formed by a Quad-Core clocking at 1900 megahertz and an additional Quad-Core clocking at 1.3 GHz), and 2 cameras, an 8 megapixels back-facing camera and a 2 megapixels front-facing camera. While the Tab Pro 10.1 is only 9.57" long, it manages to pack a 10.1" display. This tablet is extremely slim and stilized, with a thickness of just 0.29". 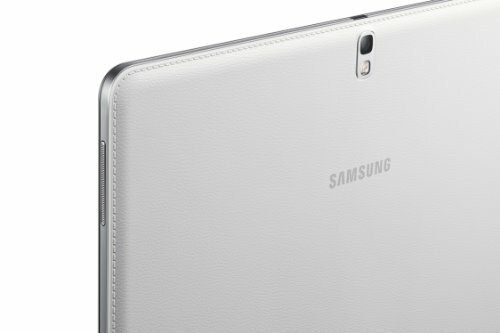 Samsung made an amazing optimization job making the Samsung Galaxy Tab Pro 10.1 weight just 16.54 oz. 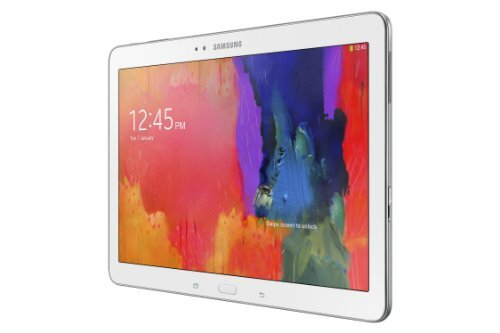 Samsung only offers the Tab Pro 10.1 in white color. This tablet is equipped with a very powerful Octa-Core CPU (formed by a Quad-Core running at 1.9 gigahertz and an additional Quad-Core ticking at 1.3 GHz), packed into an Exynos 5 Octa system chip with a great 2 GB RAM memory. Graphic calculations generally eats lots of processing time, so this tablet also has an additional 600 MHz ARM Mali-T628 MP6 GPU to take care of them, leaving the CPU free for other tasks. This tablet comes with a huge 32 GB internal storage and an SD memory slot, which allows you to store lots of applications, games, pictures and videos without worrying about running out of space at all. This tablet has two cameras, an 8 mega-pixels back side camera and a 2 megapixels front facing camera. It is capable of filming videos in Full HD 1920x1080. Additionally, this tablet's camera also includes some useful characteristics like auto-focus, flash, smile detection shooting, geo tagging and HDR mode. The Tab Pro 10.1 has a interesting 10.1" screen with a 1600 x 2560 resolution, making everything look beautiful. Its screen uses Super Clear LCD capacitive technology, and has multi-touch detection. 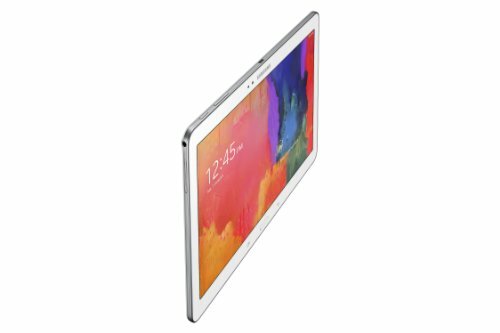 This tablet counts with an incredible 8220 mAh non-removable battery, enough to provide the Samsung Galaxy Tab Pro 10.1 with an extremely long battery life. An issue to evaluate is that this tablet's battery is non-replaceable	so you can't throw it away and buy a new one when it begins to live shorter, whereas with this big battery you will probably buy a new tablet before that becomes a real problem. The Tab Pro 10.1 counts with Wi-Fi connectivity (which it can provide to other devices acting as a router), 4G (LTE) fast internet connection and also HSPA+ data connection, a lower speed 4G network or 3G fast connectivity, over HSDPA, HSUPA, UMTS and EDGE technologies. This tablet works with a SIM card to use GSM services. This tablet also features many interesting features like Bluetooth, GPS Localization, Infrared Transmitter and NFC (Near Field Communication), and multiple sensors like Light Sensor, Accelerometer, Gyroscope and Compass. 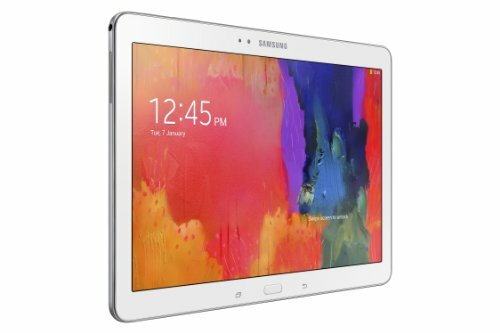 The Samsung Galaxy Tab Pro 10.1 is extremely cheap considering it's an incredible tablet and it only costs $ 285. It doesn't matter whether you are a photography fan, want a tablet mostly for internet broswing and social networks, want a work device or will use it as a gaming device, this tablet is probably a great option for you.